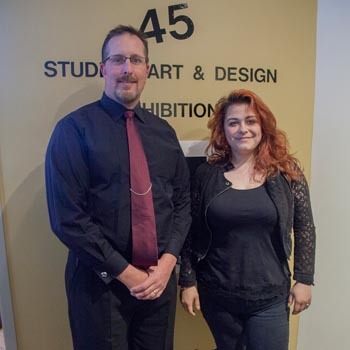 Tidewater Community College’s Visual Arts Center held the awards ceremony for its 45th annual Student Art and Design Exhibition on March 26. 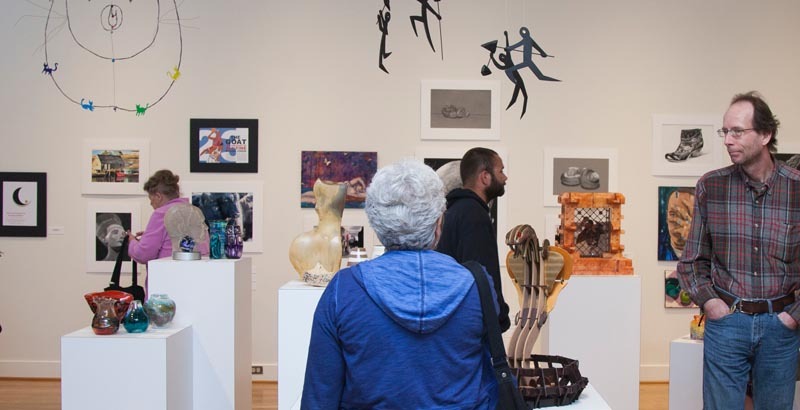 More than 200 works, including studio arts, photography, graphic design, ceramics and glassblowing, created by students for art classes since last May, were featured in the exhibition. All work will be on display through April 17. Students Meghan Fee and Richard Cooke earned top honors. Fee, working toward her Associate of Applied Arts in Studio Arts (Specialization in Glass), won the President’s Award for her vase titled “Life Blood,” created as a homage to her friend Sydnie. The two, she said, often took adventurous treks into the wood of Chesapeake sometimes finding animal bones and deer skeletons. “Those were the best days of our young lives,” she said. Cooke won the VAC Purchase Award and his charcoal drawing of Sir Ian McKellan will become part of the Anne S. Iott Permanent Art Collection of TCC. A 24-year Army veteran, Cooke is earning his Associate of Applied Science in Graphic Design (Specialization in Multimedia). He created the likeness of the British actor in a Drawing I class at the VAC and was thrilled for the recognition. “When I saw all the great work there, I was honored, ecstatic really,” he said. On April 13, Cheryl White, director of the Glass Wheel Studio in Norfolk, will present “CRAFT is not a four-letter word.” Both programs begin at 12:30 p.m. at the VAC in rooms 208 and 209. Below is a list of all student winners.